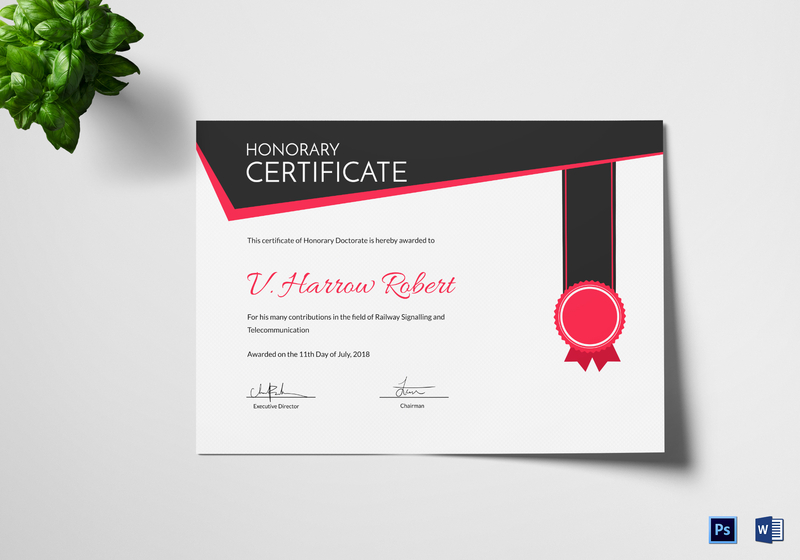 Award professionals with this Honorary Excellence Certificate for their hardwork and excellence. High quality artwork with 300 DPI resolution and CMYK colour space give high quality print. Downloadable and printable templates suitable for both commercial and personal printing. Add/edit content and images in MS Word and Photoshop formats. You can share digitally or print instantly.